The time- and labor-intensive process of project closeout can plague project managers, and MCN Build was no stranger to time intensive, deadline driven closeout on their projects. MCN Build’s process routinely encountered multiple challenges that their previous software solution was not able to adequately overcome in order to meet their needs. The demands that the closeout process made on MCN Build’s team necessitated a change. That’s where Pype Closeout came in. 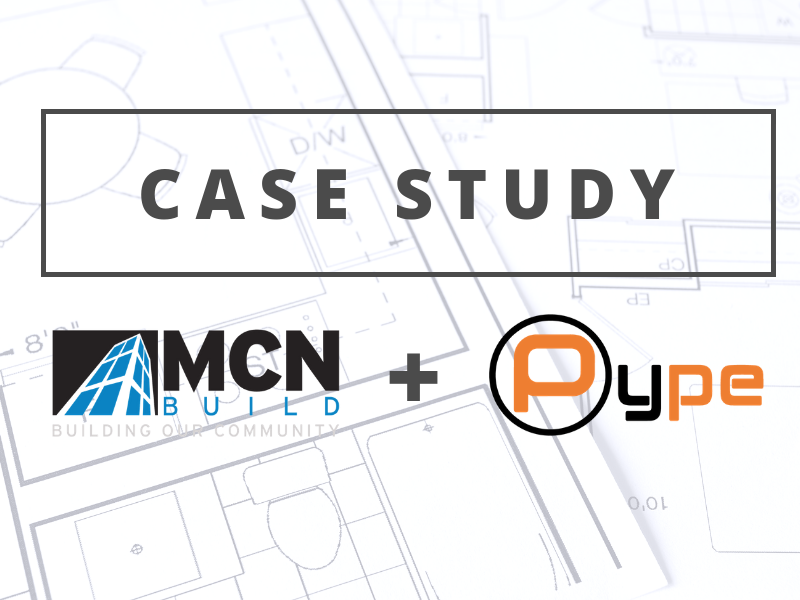 The simplicity of Pype’s platform really spoke to MCN Build’s team. Adoption was quick and easy, and because subcontractors did not have to invest in order to use Pype, APMs had no trouble encouraging them to use the system, further streamlining efficiency. On one project, an intern without industry experience was able to lead the document closeout on a $52M project, made simple by Closeout’s dashboard with oversight by more experienced team members.